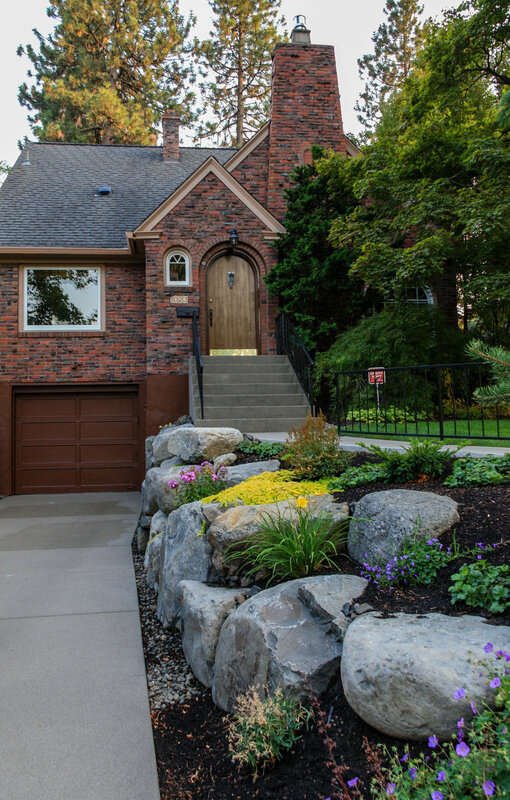 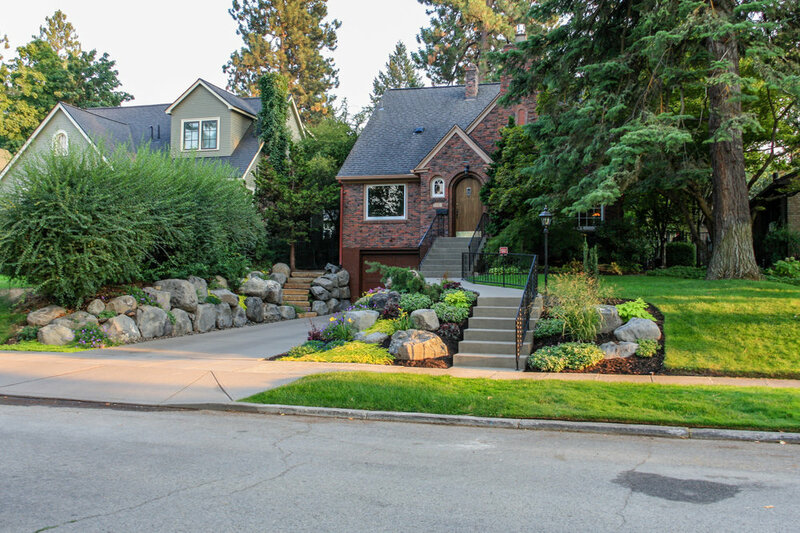 With a narrow driveway and leaning concrete retaining walls, parking was a major challenge at this 1938 brick Tudor on Spokane's South Hill. 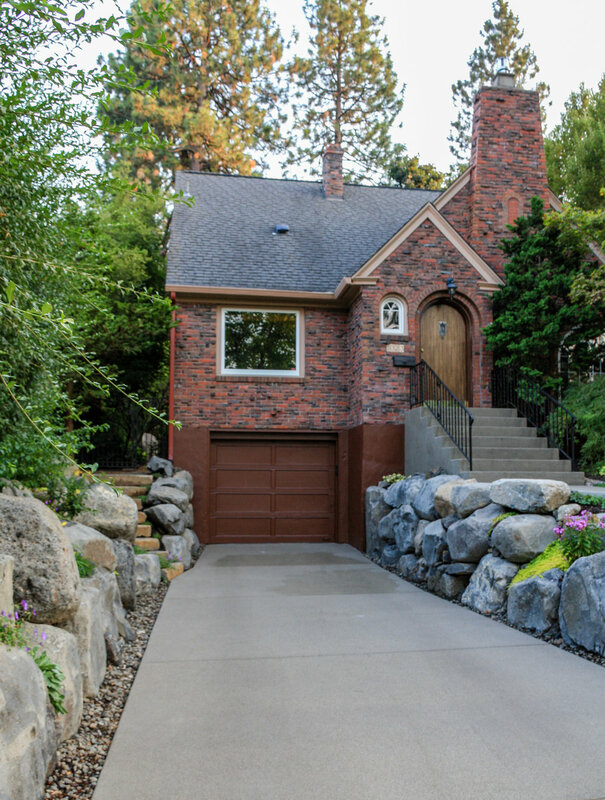 Crumbling concrete stairs added another layer of difficulty, and after a particularly rough winter, the homeowners were ready for a change. 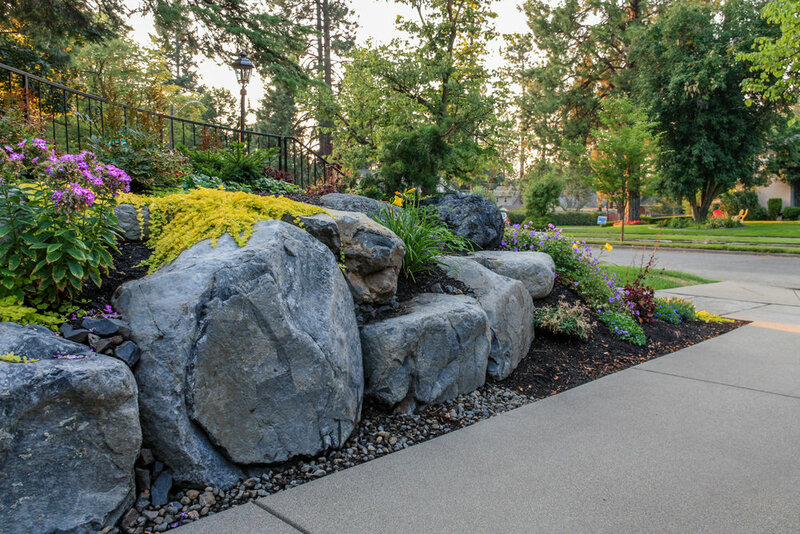 The failing concrete walls were replaced with stacked boulders, which created space for a new, wider driveway. 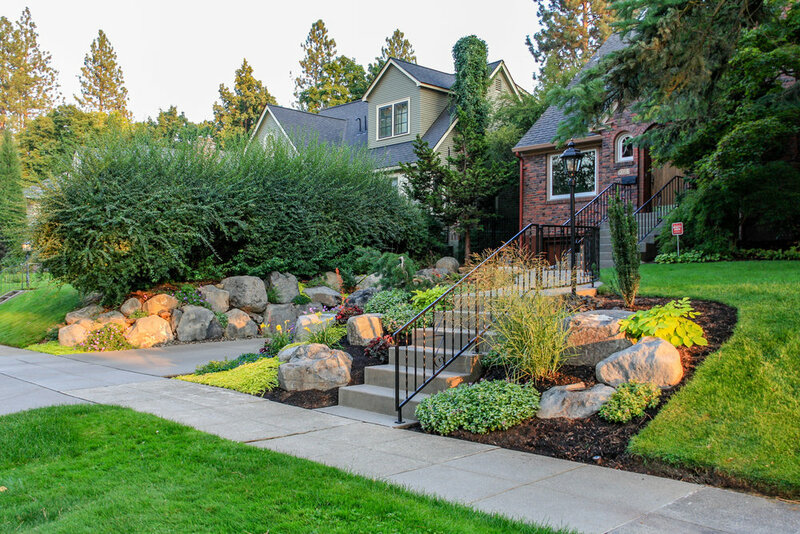 Natural stone steps offer access to the backyard, while the new front stairs and sidewalk provide a safe route to the front door. 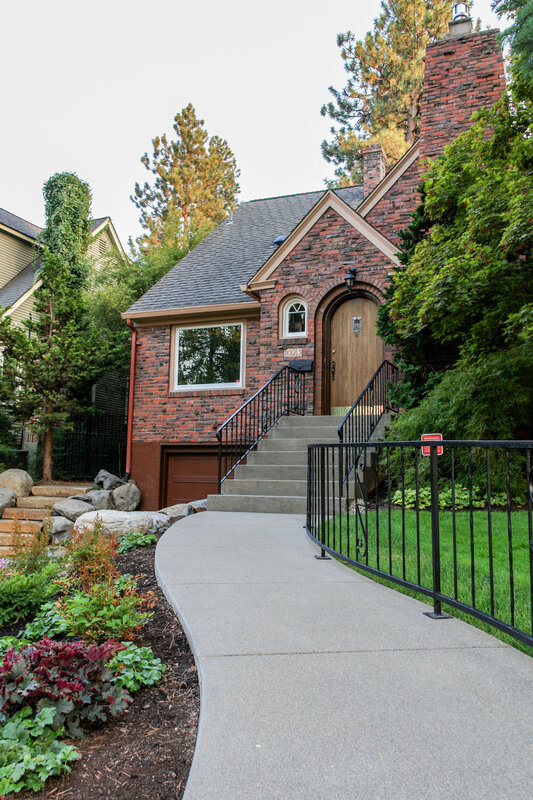 The original iron railings were preserved and modified to be reused with the new stairs.